Better maintain my average of 3 posts a year. 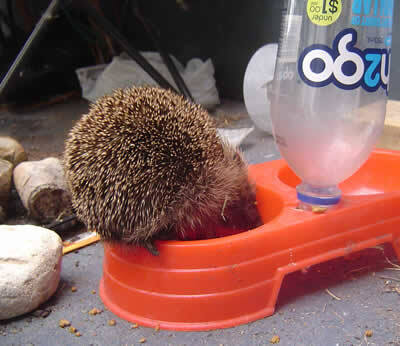 Anyway, a couple of weeks ago we got a visit from a very noisy little hedgehog, who ate all the cat food then followed me to the letter box and sniffed and rubbed against my slippers, then returned to feeding from the cats bowl, and looked a little miffed that there was no more food left (if a hedgehog can look miffed). He pretty much moved into the carport for the week and only left when the cat started eating all her her food up. I decided to name him Hieronymous the hedgehog after the famous painter Hieronymous Bosch, who painted the Garden of earthly delights which when i first saw it i thought was some weird trippy 70s album cover instead its a religious piece from the late 15th century, it is a weird painting and proof that some painters probably sniffed a bit too much of their own paints.